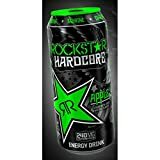 Rockstar Super Sours Energy Drink is yet another flavor variation from the number 3 energy drink brand, Rockstar. Super Sours offers two intensely flavored drinks with a sour twist. How Does Rockstar Super Sours Compare? 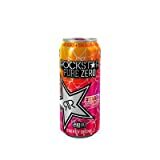 Rockstar Super Sours contains 10.00 mgs of caffeine per fluid ounce (33.81mg/100 ml).